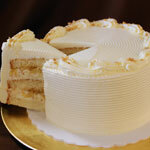 Almond Praline – White cake layered with white almond mousse swirled with praline pieces. Amaretto Mousse – A very light white cake filled with amaretto mousse. Apple Caramel Almond – Sweet vanilla cake, chopped apples, toasted almonds and a swirl of caramel. 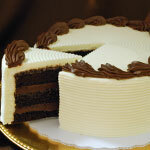 Bailey’s Irish Crème – Dark chocolate cake, with chocolate Irish crème mousse inside and out. 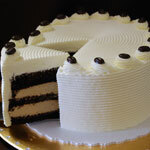 Cappuccino Soufflé – Rich chocolate sponge cake spritzed with coffee and layered with our cappuccino silk frosting. 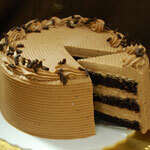 Chocolate Mousse – Devil’s food cake with layers of chocolate mousse inside and out. 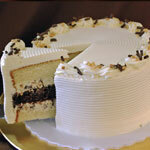 Chocolate Almond Marble – White and chocolate cake alternating with almond mousse, toasted almonds and chocolate. 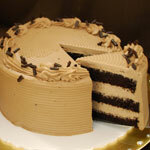 Chocolate Lovers – Dark chocolate cake with chocolate fudge filling. 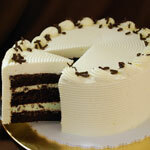 Chocolate Mint Chiffon – Chocolate cake with light mint chiffon, speckled with dark chocolate shavings. 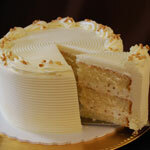 Connecticut Carrot – Moist carrot cake with walnuts and pineapple, with sweet cream cheese mousse inside and out. 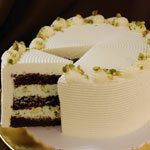 Chocolate Pistachio – Rich chocolate cake filled with scrumptious pistachio mousse and garnished with crushed pistachios. 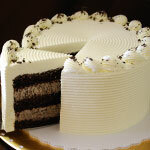 Cookies & Cream – Dark chocolate cake and white mousse swirled with Oreo crumbs. 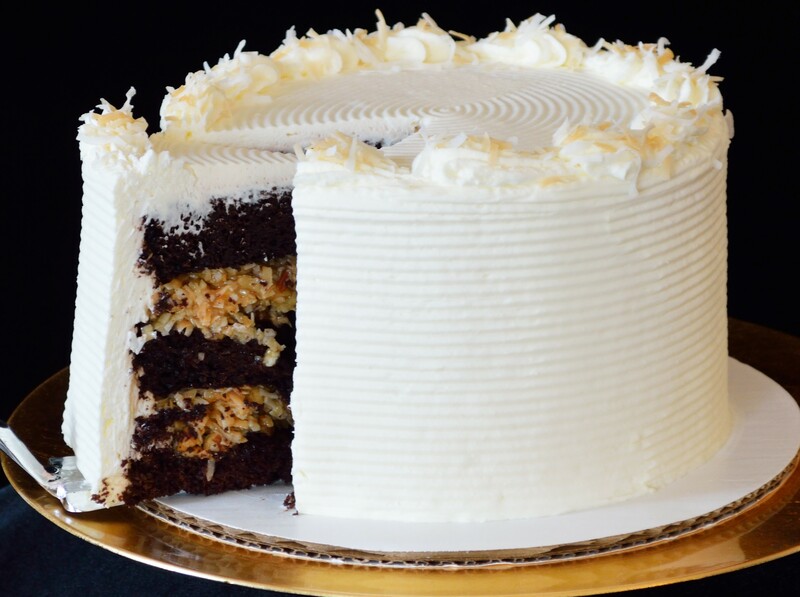 German Chocolate – Chocolate cake filled with toasted coconut and pecans tossed with caramel. 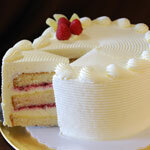 Lemon Raspberry – White cake layered with lemon curd, fresh raspberries and lemon mousse. 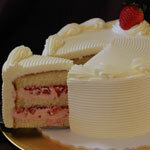 Lemon Strawberry – White cake layered with lemon curd, fresh strawberries and lemon mousse. 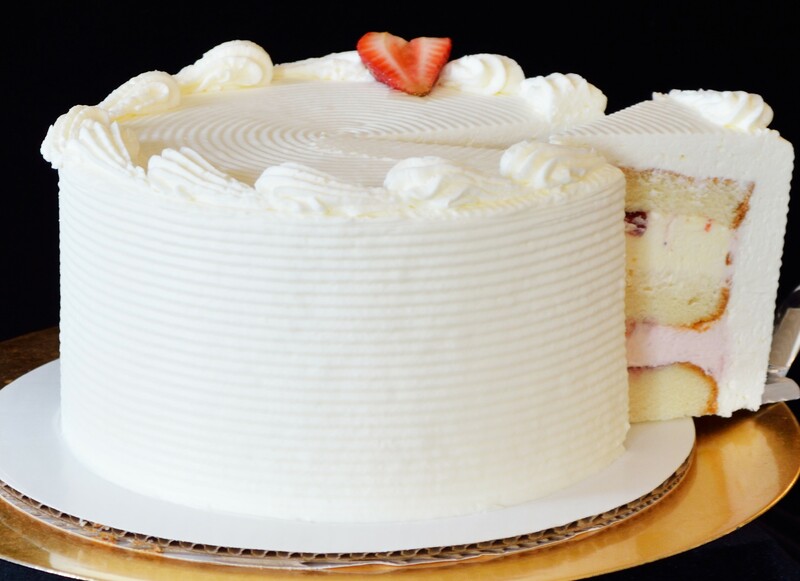 Lemon Strawberry Split – White cake alternating with lemon curd and lemon cream cheese mousse and strawberry curd with strawberry cream cheese mousse. 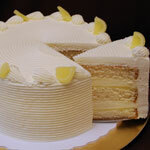 Lemon Sunshine – Moist vanilla cake layered with lemon curd and light lemon mousse. 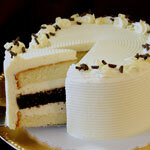 Marble – Chocolate and white cake alternating with vanilla mousse. 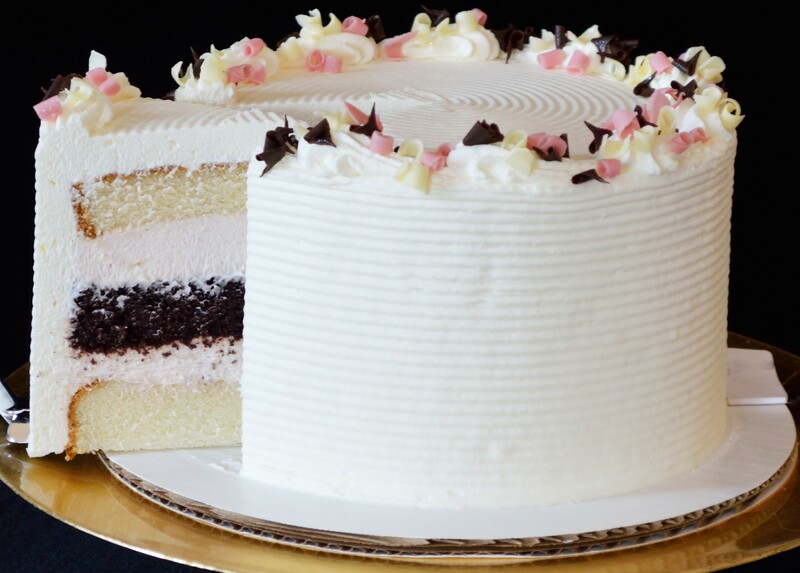 Neapolitan – Chocolate and white cake alternating with strawberry cream cheese mousse. 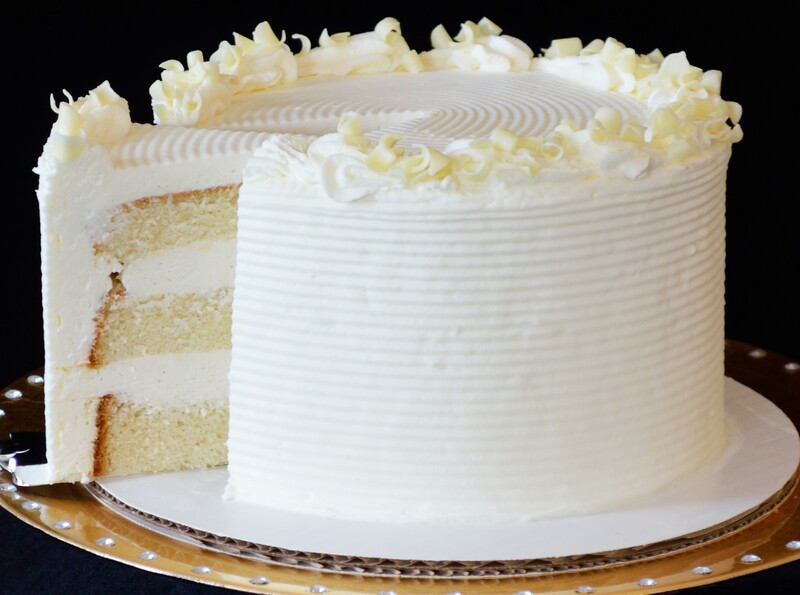 Pina Colada – White cake layered with pina colada mousse, fresh pineapple and toasted coconut. 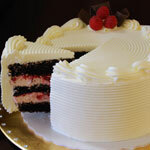 Raspberry Chocolate Diva – Chocolate cake filled with raspberry mousse & fresh chopped raspberries. 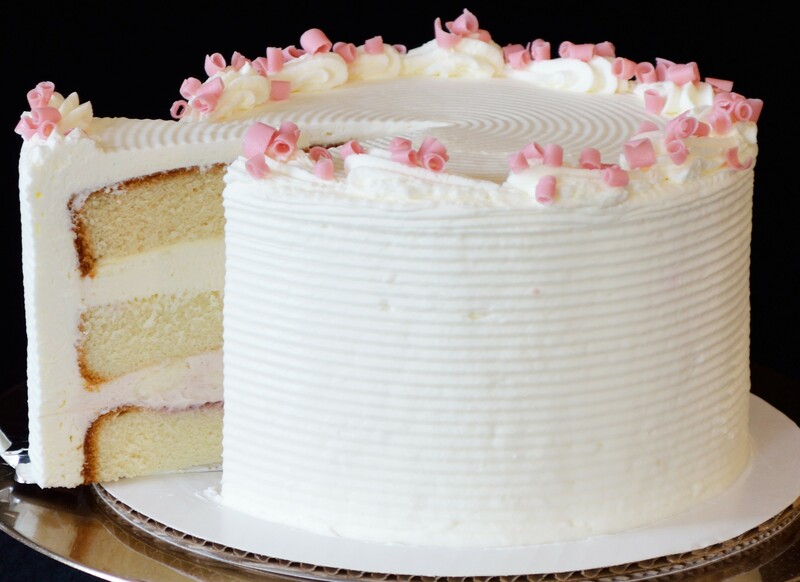 Raspberry Royale – White cake filled with raspberry mousse & fresh chopped raspberries. 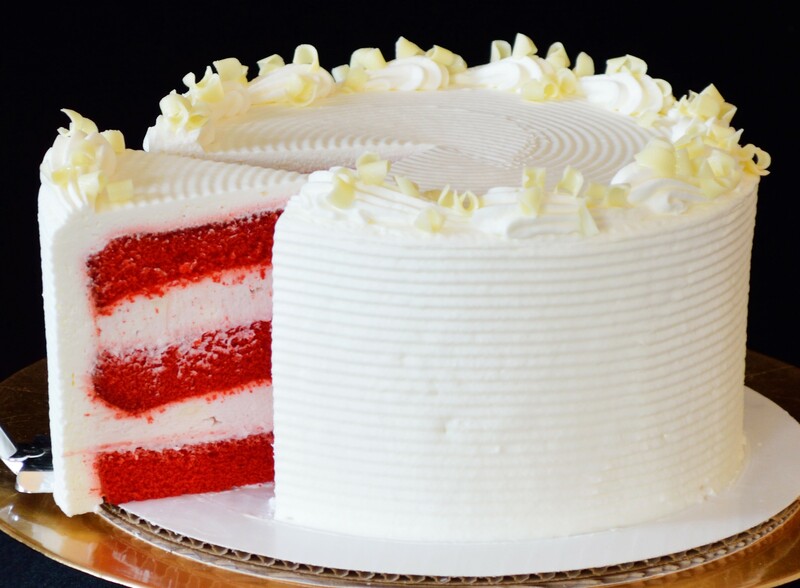 Red Velvet – Our classic red velvet cake layered with sweet cream cheese mousse. 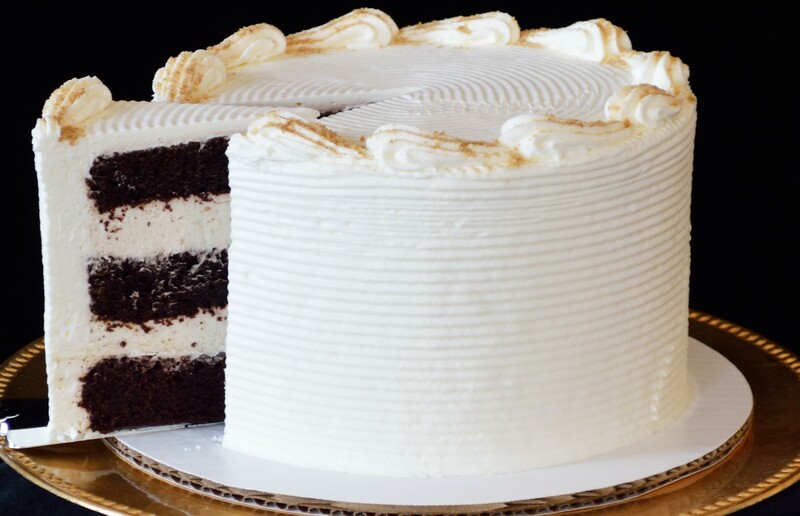 S’mores – Chocolate cake with marshmallow & graham cracker mousse filling. 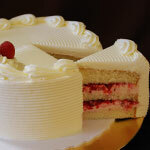 Strawberry ala Ritz – White cake layered with light strawberry mousse & fresh chopped strawberries. Strawberry Banana Ritz – White cake alternating strawberry mousse & banana mousse, with fresh strawberries. 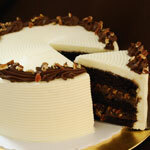 Tempting Turtle – Chocolate cake with rich fudge, caramel & crunchy pecans *not available for tiered cakes. 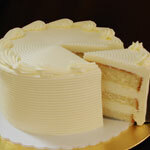 Vanilla Mousse – Vanilla cake layered with white chocolate vanilla mousse.